I still maintain X desktop because, as you can see from the last video, I'm using the kiosk not only to play games, but to play music and use the browser as well. It has a touchscreen monitor. --- now exiting the emulator, if in framebuffer, the program goes back to X desktop refreshing the view NOTE: the refresh is done via ths script /home/bananapi/screen_reset.sh. Edit the script to fit your screen resolution!!! At the end of this post (not thread) I present you my Arcade Kiosk. Let's start with the software part, restricted only on the emulator, that is remained the same. I would like to share with you a big improovment in RetroArch. I was able to let it work with framebuffer instead with X11. The difference is Retroarch doesn't start anymore in Windowed X11, but in fullscreen. It's NOT needed to start framebuffer from terminal without X11 (what I was erroneous thinking that at the beginning) so it's possible to start framebuffer version from a Desktop. It has a little bug that doesn't refresh the screen on exit, that I've resolved with a startup script. I'll highlight the differences during this setup between X11 and framebuffer. A big thanks to ryad which helped me with the setup. On his blog here (http://ryadeldajani.blogspot.de/) there are many interesting informations for X11 compilation. First of all, after setting up the OS and some dependencies, we enable hardware acceleration. This is required to have a fluid emulation. Choose X11 for windowed mode or framebuffer for fullscreen mode. [ 11.667] (II) LoadModule: "fbturbo"
[ 11.691] (II) Module fbturbo: vendor="X.Org Foundation"
[ 11.700] (**) FBTURBO(0): Option "fbdev" "/dev/fb0"
[ 11.700] (**) FBTURBO(0): Option "SwapbuffersWait" "true"
You should see triangle and some informations about EGL and GL on console (in X11) or a triangle with black background in framebuffer. The command 'es2gears_x11' (package mesa-demos), in addiction, shows an average of FPS on the displayed animated image. ldconfig: libraries libGLESv1_CM.so.1 and libGLESv1_CM.so.1.1.0 in directory /usr/lib have same soname but different type. ldconfig: libraries libGLESv2.so.2 and libGLESv2.so.2.0.0 in directory /usr/lib have same soname but different type. This means that those libraries are overwritten. If you try again the test, you get an average FPS of 60!!! The './test' command from sunxi-mali doesn't work at all. So you need to reinstall sunxi-mali drivers. The 'sudo make install' from '$HOME/sunxi-mali' folder is enough and all comes back again! Look at the Ryad post later down (http://forum.lemaker.org/forum.p ... 72&fromuid=1212) for solution. Lest's go on with RetroArch. We need the frontend (retroarch) and the core. Here, we need to checkout a particular version (#9e132a0) of RetroArch to apply a patch from Lakka for mali framebuffer. Then we apply it. From here again, same steps for X11 or framebuffer. Before we start to build it, we need to recover gl2.h and gl2ext.h header files; those taken from sunxi-mali are outdated. Just backup the existing files and copy the new ones to /usr/include/GLES2. In the same way you can install SNES emulator like ryad has descrived on his blog (link at the beginning). I've tested for now only imame4all, which works with ROMs version 0.37b5! Much depends on the ROM verisons and the BIOS files, which needs to be correct! This tells video_driver which OpenGL context implementation to use. For framebuffer we use "mali-fbdev". In X11 you don't need to specify it. Then, again, start over with common steps for both versions. 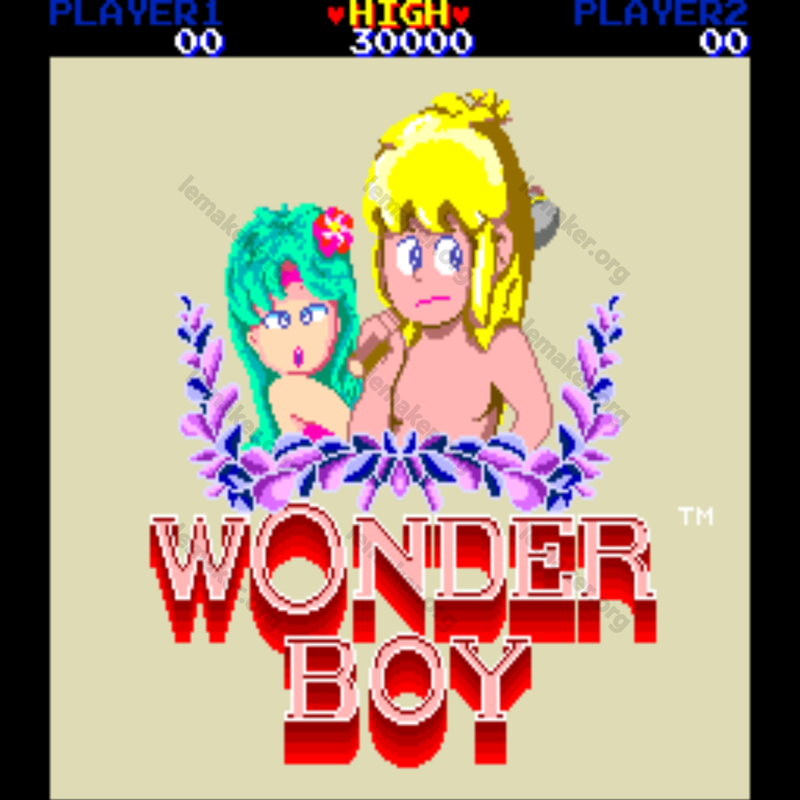 The game will appear windowed (X11 version) or fullscreen (framebuffer). I've tested a DIY joystick with no problems. You can setup it with retroarch-joyconfig or from --menu option. More on retroarch.cfg could be set to improove some settings. And I'm starting retroarch using the link on the desktop alone or via emulationstation. 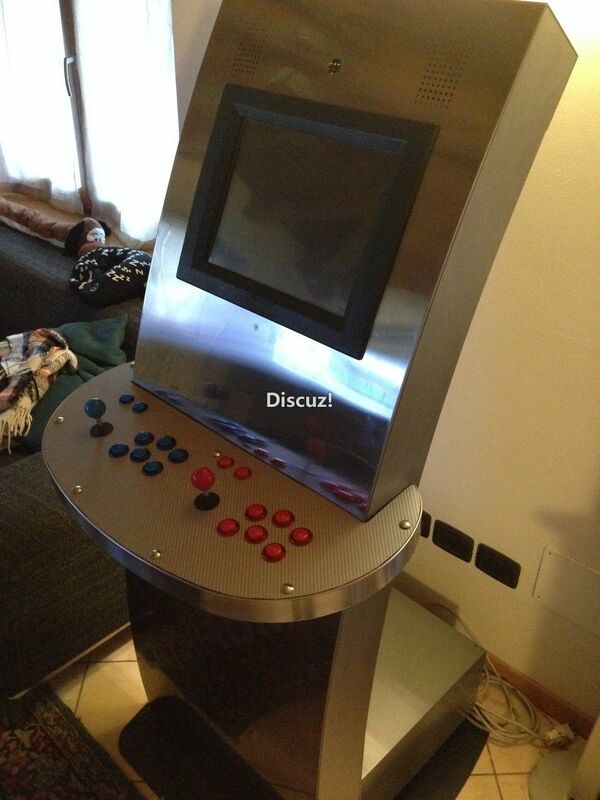 Here I present you my project, an old Kiosk transformed into an Arcade Cabinet with some extra capabilities. 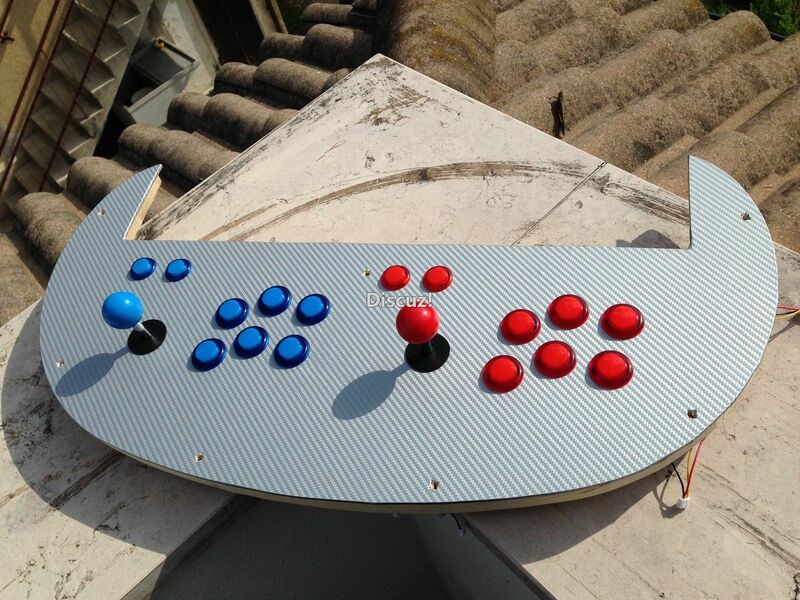 The main propose of the project was to obtain an Arcade Station to play games. In addiction I would like to add some Kiosk capabilities like Browser and able to play music. The emulation softare installation is descrived at the beginning, so I would not repeat all again. 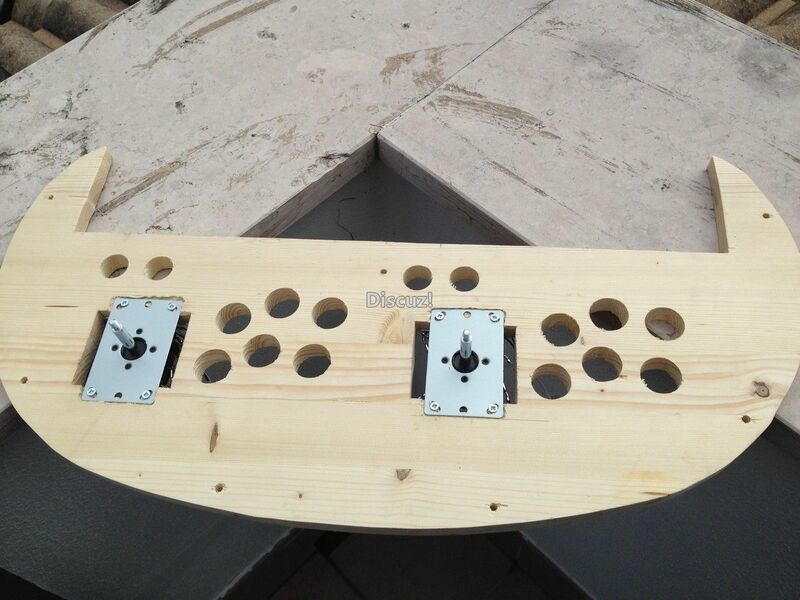 About the hardware, I think there is no better way to show it with pictures! 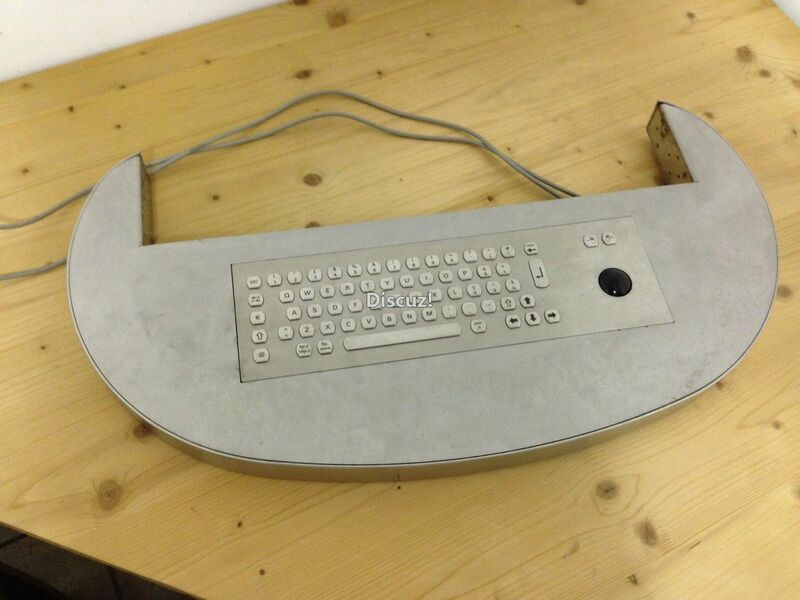 Original Keyboard, before the modding. So this is the result of the three layers I've used. 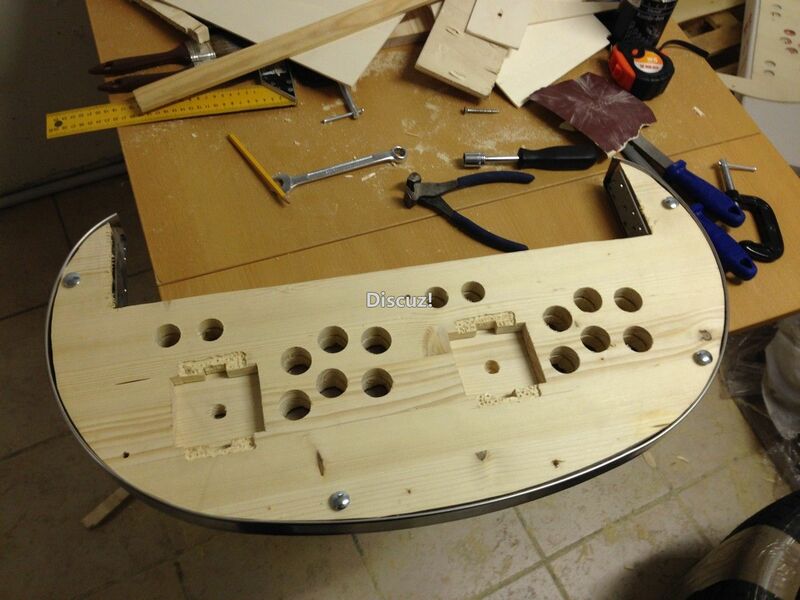 Two are thick and need to create holes and thickness to fit buttons and joystick. 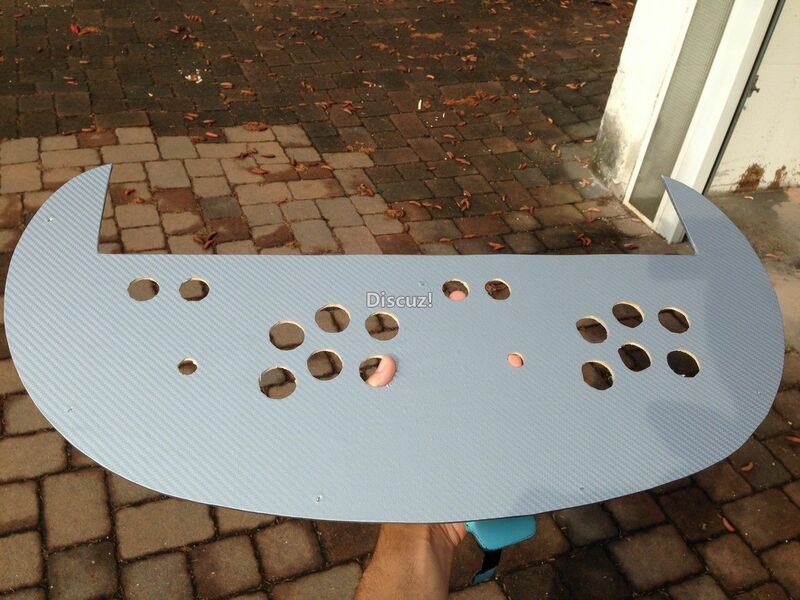 The last Layer is thin and ned to cover all. ...then the layer with a vinyl sticker. The same you can use to attach on cars. 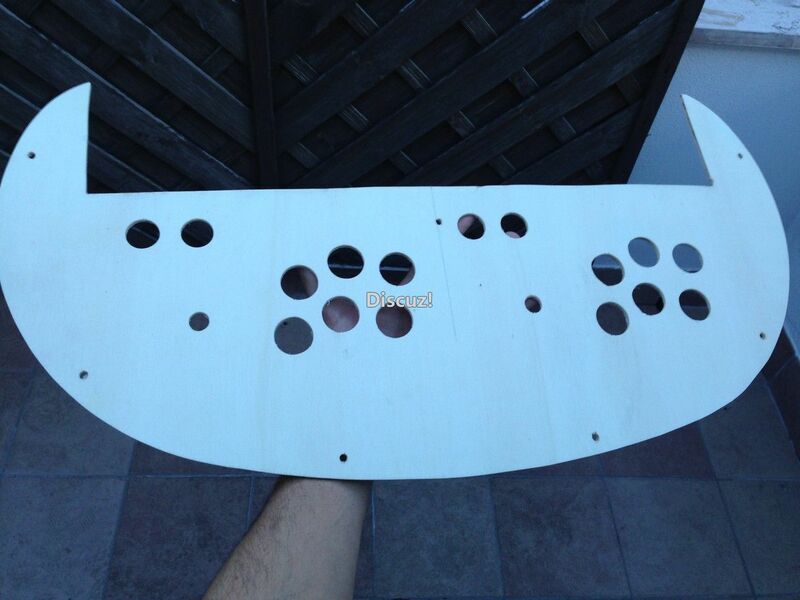 Before attaching it I've painted the wood with a transparent color. It's time to put all together. 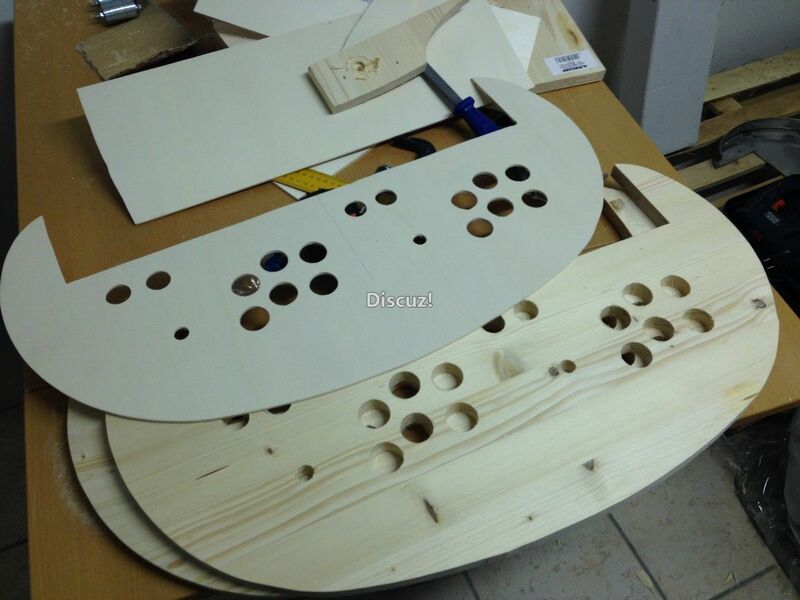 First two layers and the joysticks. Last but not least the buttons! Nice uh? Some software tests. Under check joysticks and the touchscreen! Internal view of the Kiosk. FINAL VIEW of the totem. 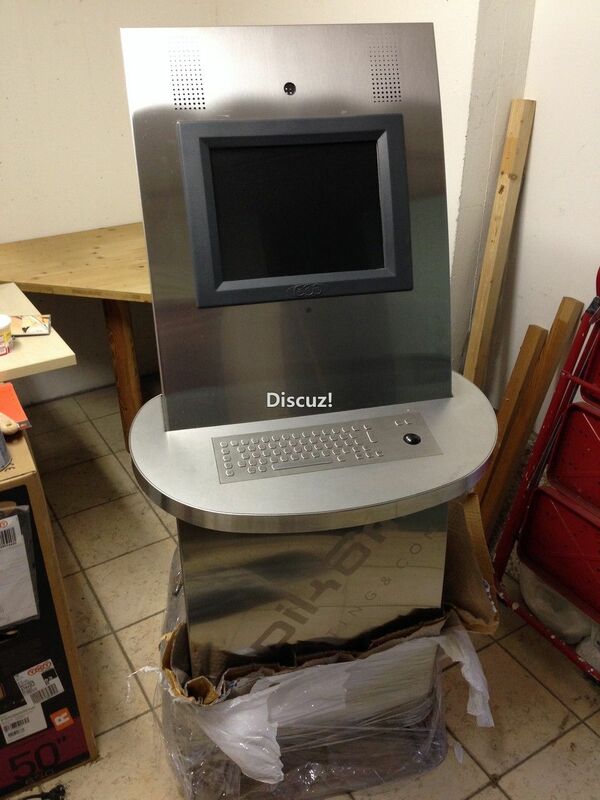 Here you cannot see the BOSE docking station on the top of the KIOSK. The internal audio is poor so I've modified an old BOSE Docking Station to work with an AUX input. Extra modification. 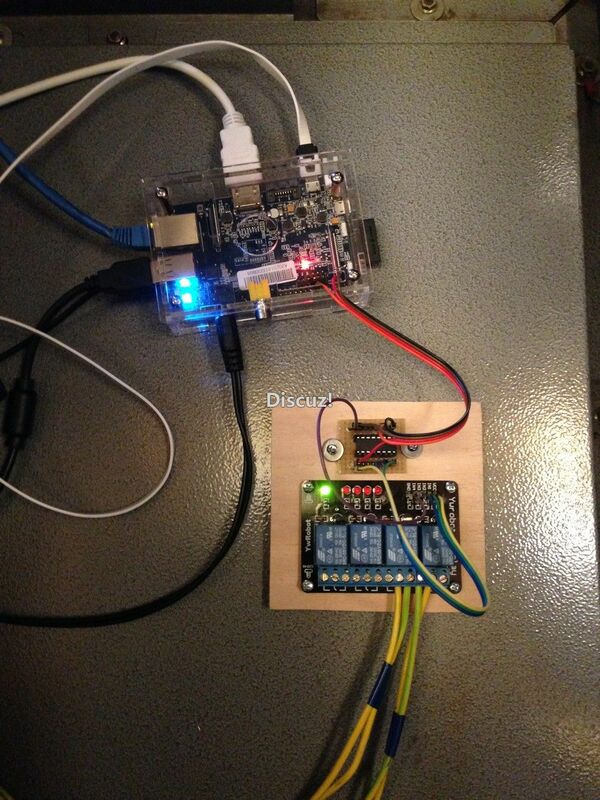 Here you can see a relay board attached to the GPIO ports. Why this? Well... I was thinking the Kiosk should turned on all the time. 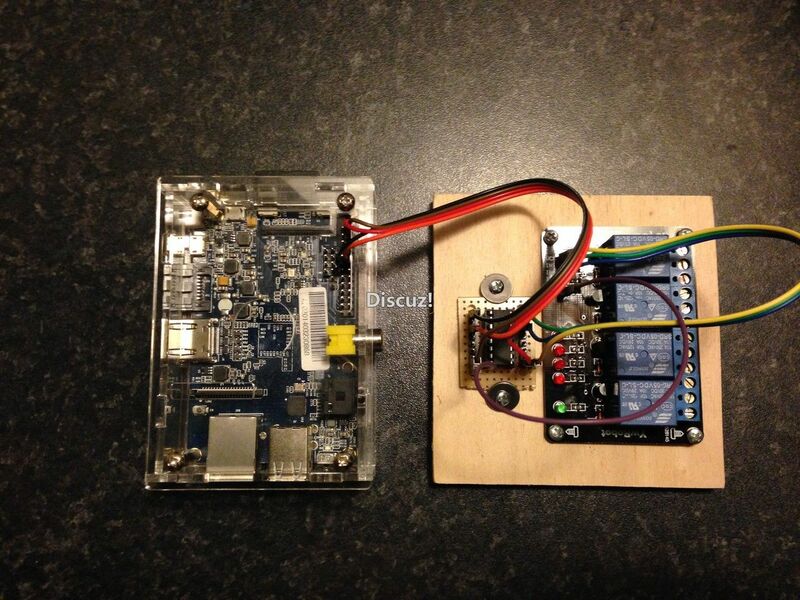 The power consumptions is between 2-5WATT (0.5 - 0.9A) for the BananaPi. So what about the monitor and the Docking Station? 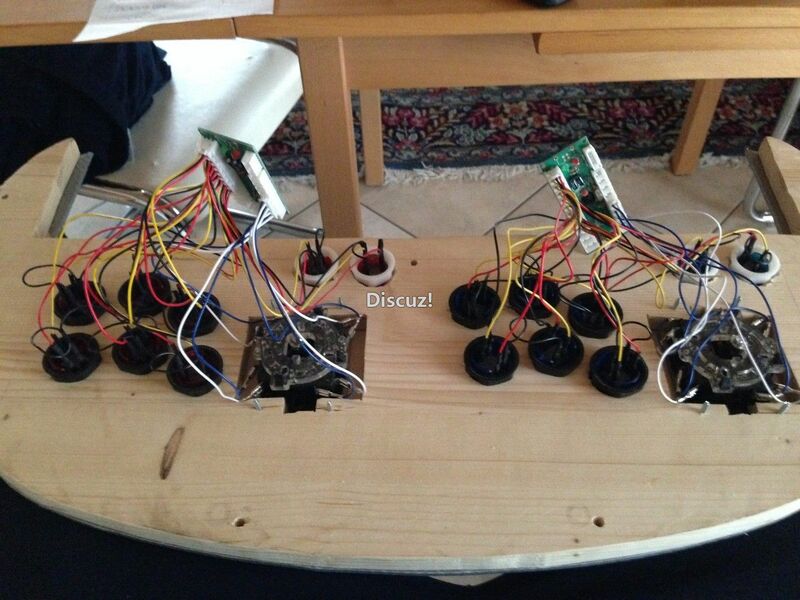 I've installed a relay board that can be triggered using a combination of joystick buttons (via Qjoypad and xbindkeys). Pressing them I can turn on and off the monitor and/or the Docking Station. The monitor power button is inside the KIOSK so, when it's closed I cannot reach it. For the BOSE there is no power button. 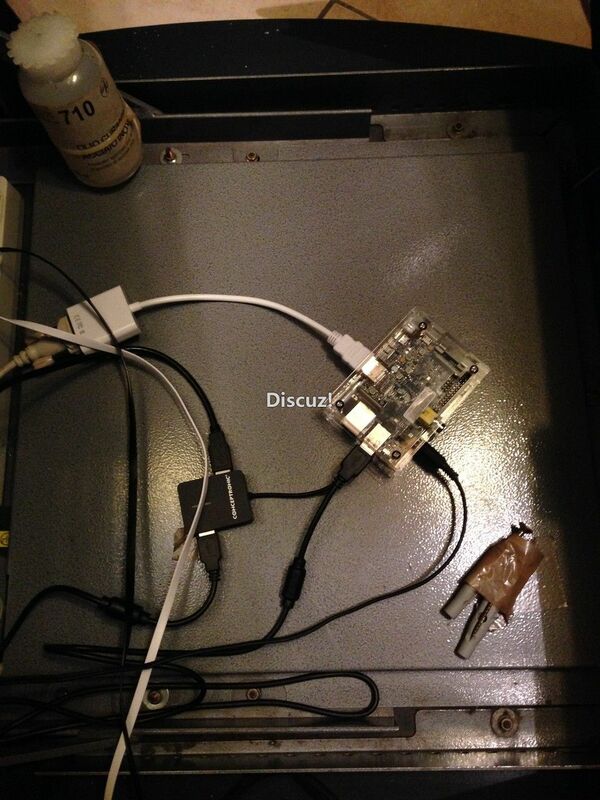 The relay board starts on boot with Monitor "normally closed" (also turned ON) and the BOSE System "normally opened" (also turned OFF). This because I need to see when it does boot but would like to avoid the NOISE comes from the BOSE until the sistem is not started up. On the video you can see it on test! 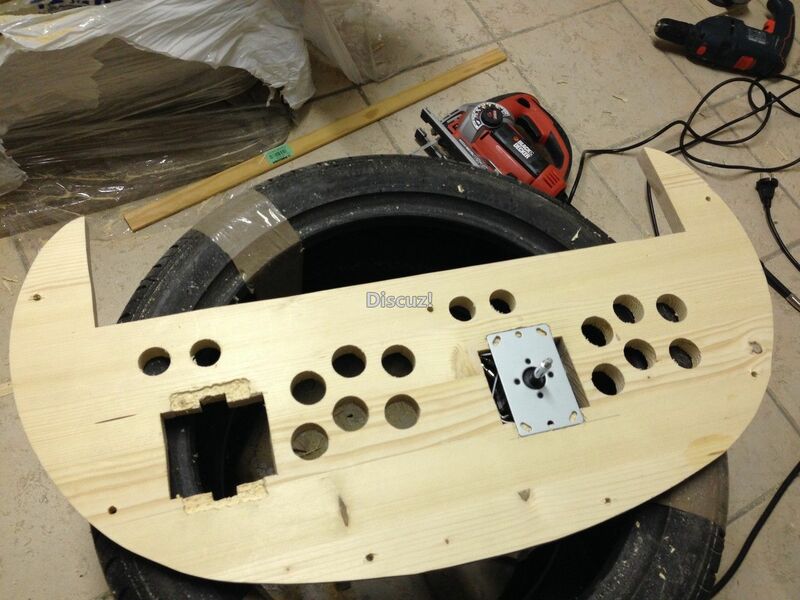 Another pucture of the internal case. All is ready! Sorry for the poor quality and light. Job done really good! 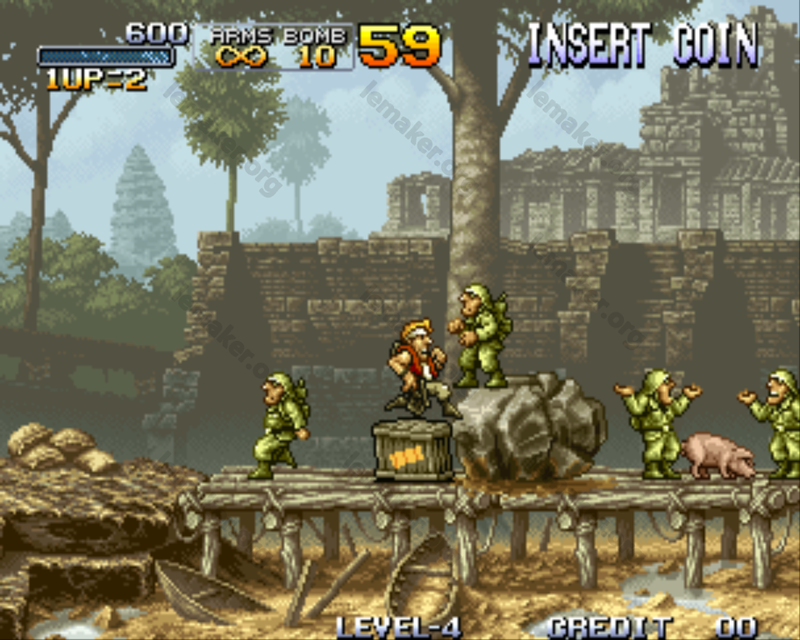 Could you record and publish video here with Metal Slug in action? Please show on frame rate. 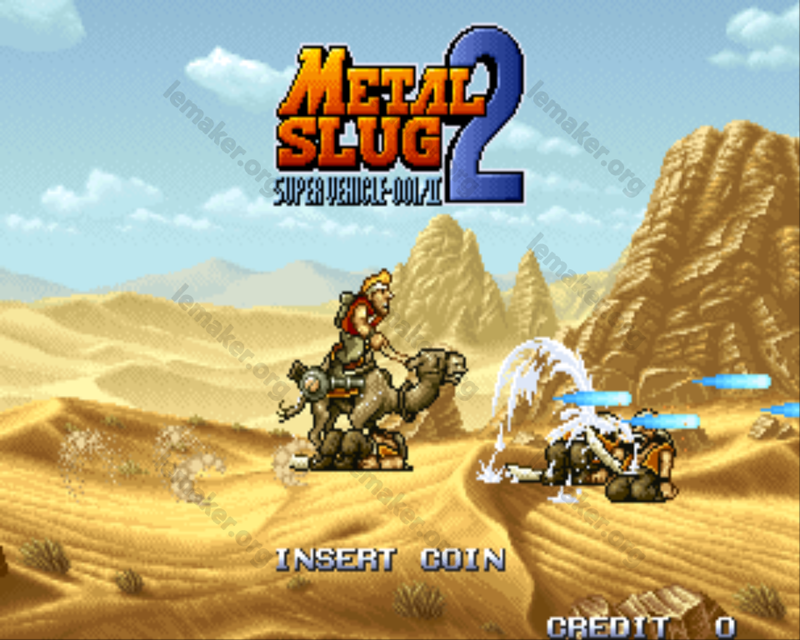 Which emulator is used to play Metal Slug - Mame or RetroArch? Small addition: Today I researched the ldconfig issue and could solve it! I posted the complete text on my blog. The short version: You install the sunxi-mali libraries into /usr/lib/mali (which you create before) and make them accessible via an entry in /etc/ld.so.conf.d/. This way you won't get conflicts with mesa-libgl anymore. Edit: I removed the wget for gl2.h and gl2ext.h in the previous code because of issues with the forum software. I share you a big improovment using FRAMEBUFFER instead of X11. This let you play the games in fullscreen without loosing in performances. Sorry, I've not seen your question before. 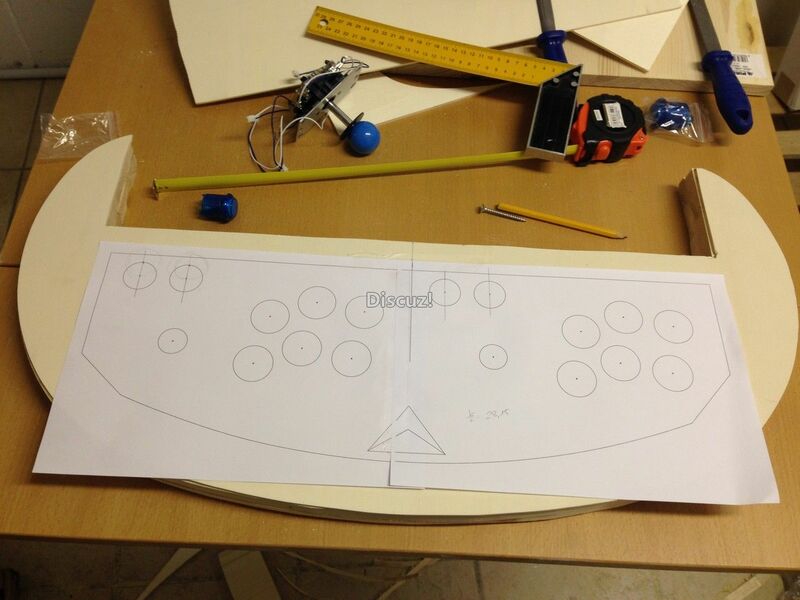 I'm ready to share a video and a step-by-step for the creation of my Arcade Case. 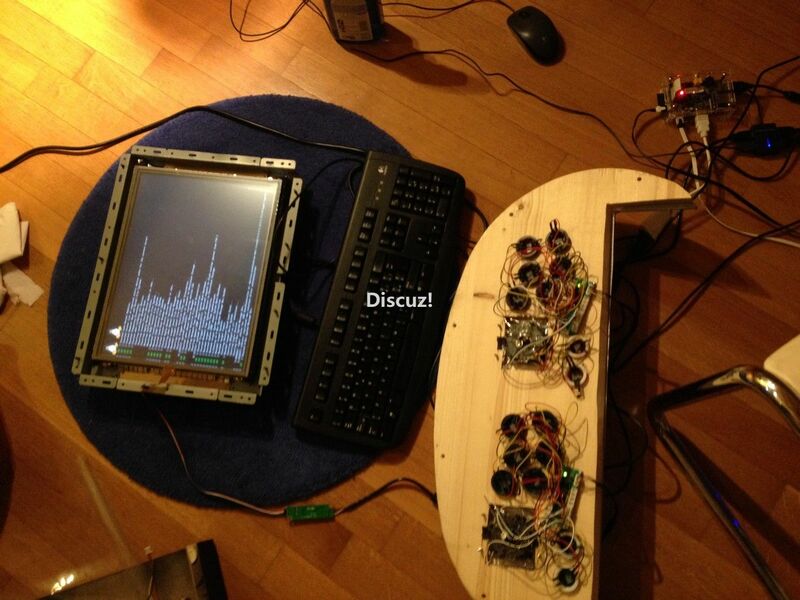 I'll then show picures of the setup and a video on Metal Slug ingame. With framebuffer it's smooth! Very nice improvement! 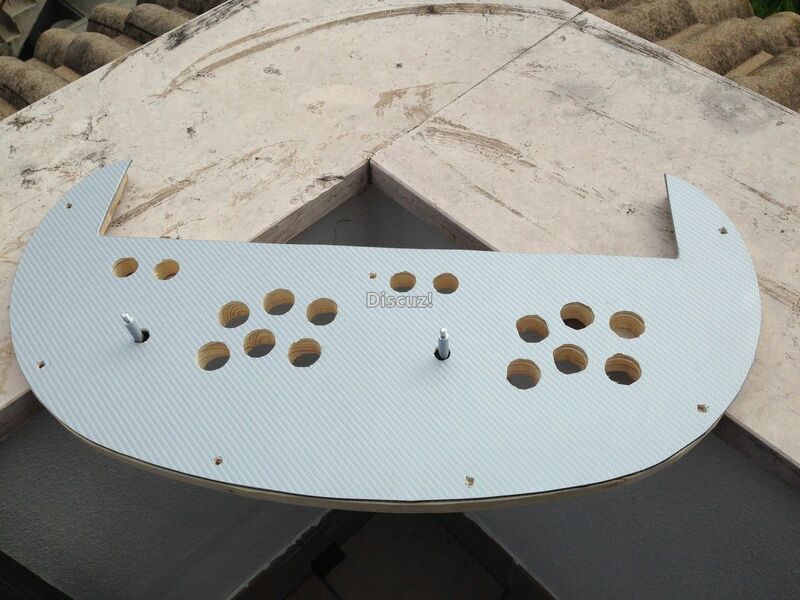 Maybe you could share an image of your solution for http://forum.lemaker.org/forum.php?mod=viewthread&tid=1871 ?